Thank you for visiting my website! A little bit about me: I write quirky, fun, romantic women’s fiction and cozy mystery. 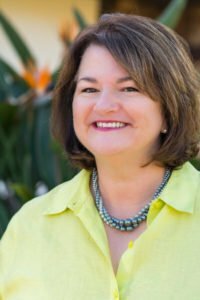 I’m a two-time RITA® Finalist, as well as a finalist in the National Readers Choice Awards and Romantic Times’ American Title Contest. My romantic comedies feature strong women, dreamy heroes, lots of laughs and a little bit of heat. My cozy mysteries are full of humor, a little romance, and of course, lots of dead bodies. I live in central Florida and I’m always on the lookout for the perfect key lime pie recipe (but not the kind they served on Dexter). I love to hear from readers! Please write me at mariageraciauthor@gmail.com. 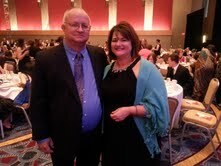 Mike Geraci and I the night of the 2013 Rita awards at the annual Romance Writers of America conference. My novel, A GIRL LIKE YOU was nominated in the Novel with Strong Romantic Elements category. It didn’t win, but I still had a blast! 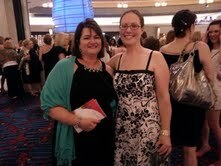 (Plus, I didn’t have to give a speech! 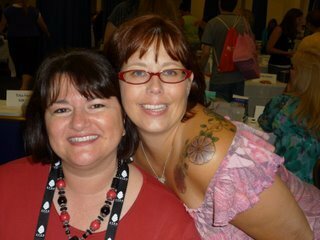 That’s me at my first Romance Writers of America Literacy signing in Washington DC back in 2009 with my original crit partner, the fabulous Melissa Francis, who acted as my wine wench for the event! I loved reading A Girl Like You by Maria Geraci. The novel was sweet, fun, and heart warming… I didn’t want to put it down! —Books, Etc.